Insulation – WSR Construction Inc.
We are proud to say that not like the most insulation companies, we do not advertise one brand, one logo, one feature. 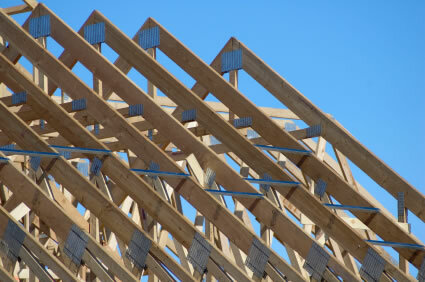 We work with all of the insulation replacement brands to fit the customer’s need the best. Over the years of experience, we have noticed and identified a number of features for each type or brand and today we can proudly give you the best opinion being independent from any manufacturer. House wrap serves as a dual-purpose weather barrier. It not only minimizes the flow of air in and out of a house, but also stops liquid water and acts as a drainage plane. The unique characteristic of house wrap is that it allows water vapor to pass through it while blocking liquid water. This permits moist humid air to escape from the inside of the home, while preventing outside liquid water (rain) from entering the home. When Should House wrap Be Used? Almost all exterior finishes allow at least some water penetration. If this water continually soaks the wall sheathing and framing members, problems such as dry rot and mold growth could occur. House wrap stops water that passes through the siding and allows it to drain away from the structural members. 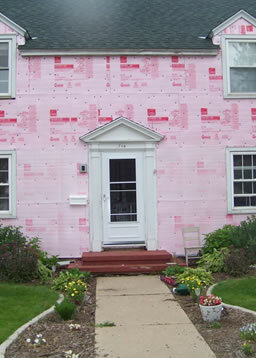 In humid climates with heavy rainfall, house wrap is recommended to prevent water damage to the framing. Use in dryer climates may not be as critical, since materials are allowed to adequately dry, although house wrap also prevents air movement through the wall cavity, which is beneficial for insulating purposes. Our house is much warmer now. Thank you for insulation and house wrap work. I did not expect it to be done so great! There are some of the manufactures, which products we install, but we do not limit ourselves to anyone, even if you already have your own materials, please call us to help you with insulation or house wrap.